So, you just brought home, the Google Home after reading its functionalities and capabilities and are ready to make it your close buddy! Well the next step is to set it up. So, let’s get started. 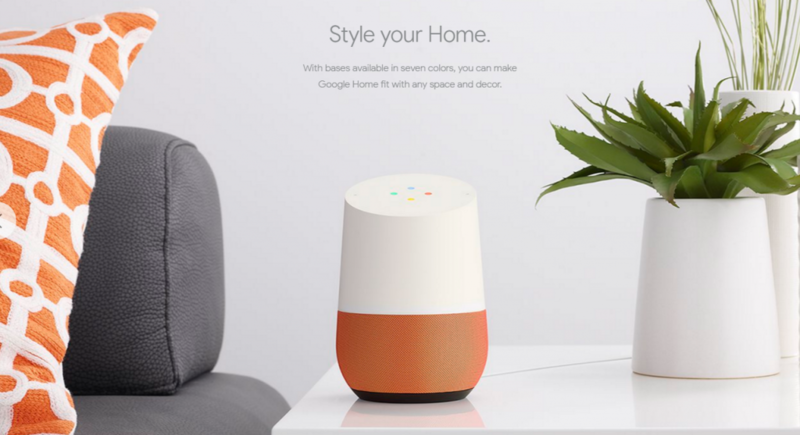 Google first unveiled Google Home earlier this year at its developer conference, almost two years after Amazon released Echo and around the time the latest iteration of the Echo, the Dot, hit stores for a mere $49.99 . Out of the box, Google Home is a solid home accessory for those who want to control apps and services with their voice. Its voice assistant, appropriately called Google Assistant, responds to the trigger word “OK, Google.” And at $129, the gadget is significantly cheaper than the $180 Echo. 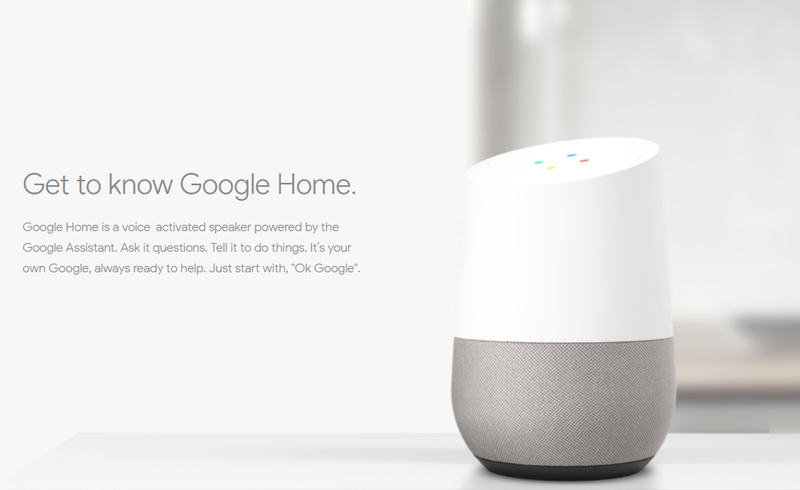 After you have admired the Google Home from its outer look and seen its sleek design, it’s time to set it up! Latest version of the Google Home app . An Android or iOS mobile device or tablet. Important: The device display language must be set to English US to set up your Google Home device. The compatible Android, iOS, or tablet setup device must support a 5GHz connection to set up Google Home on a 5GHz connection. Note: A WPA2-Enterprise network is not supported. Access to a secure wireless network. Make sure you have the wireless network password handy if you’re setting up on iOS. Step.1 Bringing it to life! 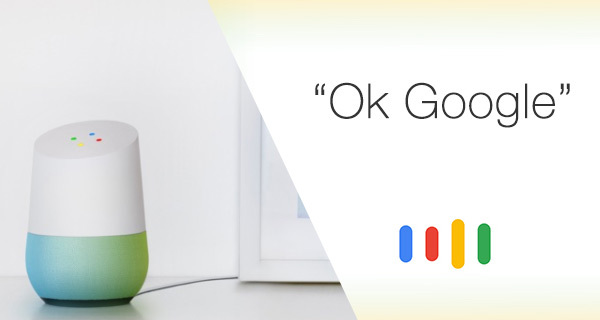 Firstly, You should find a good spot to place it from where you could easily call out ‘OK Google’.The Google Home curves and slants in all the right places, allowing it to better blend with the other items on your desk or counter top. Then let electricity run through it i.e. plug it into electric socket. There is no On/Off button in your Google Home you just need to provide it with electricity and it will be ready to hear your voice. Google Home connects to your home Wi-Fi, while a companion app saves and displays your searches or queries. After downloading the App, Accept the Terms and Conditions and agree to turn on location permissions. The app will inform you that your Google Home was found. Hit “Continue” to begin the setup process. When the app connects to your Google Home, the device will play a test sound to confirm that it’s connected. Tap on “Play Test Sound” to begin that process. Tap on “I Heard the Sound” in the bottom-right corner if you heard the Google Home device emit a sound. If not, select “Try Again”. On the next screen, you’ll select which room your Google Home device is in. Simply tap on “Select a room” and choose a room. Once that’s done, hit “Continue” down at the bottom. Next, you’ll connect your Google Home to your Wi-Fi network. Tap on “Select a Wi-Fi network” and select yours from the list. 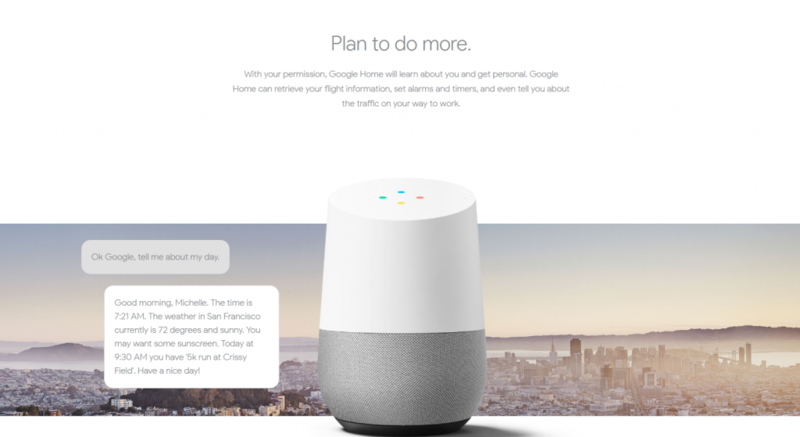 On the next screen, you’ll be asked if Google Home can access your personal information, such as your calendar, notes, flight info, and so on. This allows Google Home to provide you with better results with certain voice commands (like asking what’s on your agenda for today). Keep in mind that anyone within speaking range can access this info. Select either “Allow” or “Skip” at the bottom. The next step is setting your location and giving Google permission to access it. The app will try to pinpoint your location, you can hit the pencil icon off to the right and enter in your location manually. Once you’re done, tap on “Set Location” down at the bottom. Next you can choose whether you want to get e-mail notification, you may toggle the switch on for a better experience. The next screen that will pop up will be asking for your Google Account. Give the details or if you have already signed in the work on your part is to select your account. Now tap Sign-in and move to the next step. 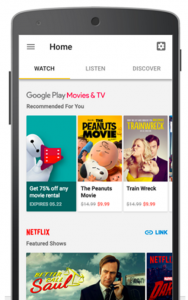 Google currently supports four music services, namely Spotify, Google Play Music, YouTube Music and Pandora which is more than enough! It is good to have a premium account for Spotify or Google Play Music to get the most out of it. This is because with a free account you can’t request specific music and has to listen to themed stations and artists mixes. Next you need to go through the tutorial as it will state what thing you may ask it and how you can get things done! This will change what Google Calls you, it may be your real name or something like, Sir, Cutie, Boss, etc. You may also tell it how to pronounce that name. It really feels good when Google calls you that! Tell Google about your home address and office address for a whole new experience. It will be able to tell you if you have traffic on your daily route so you may plan accordingly or you may ask it how much time it is to home! Google Home can tell you all about the weather or the news, but it doesn’t seem good to get news about the areas and topics you don’t even know. You may change News settings by tapping News, then Customize. For Instance from Fox news to NPR. Tapping My Day lets you change some details about daily briefing. When it comes to providing convenience, Google Home does that by doing the required task with your electronics at home. But for that you need Google Home supported electronic devices At present, Google Home is compatible with Philips Hue lightbulbs, Nest thermostats, Samsung SmartThings, and Chromecasts. Setting these devices is not a big task you just need to make sure everything is on the same Wi-Fi network and then Tap Home Control to add few of these electronics. Now once all setting up is completed you may start asking google for whatever you want! If you ever want to know about what you can ask the google then anytime you may hit the menu button on the upper left and choose “What can you do?” for some suggestions!